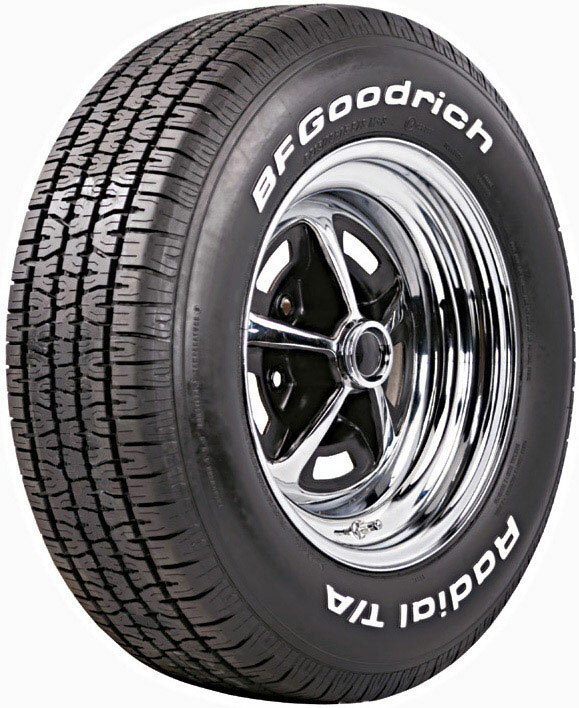 Rim Width Range: 5 - 6.5"
If you run inner-tubes with your tires, it is imperative that you carefully inspect and remove all stickers on the inside of the tires. We have found as many as six inspection stickers in one tire. They are not always easy to remove. We have used a hair dryer to loosen them up. If you do not remove these stickers, they can puncture your inner-tubes and cause a flat tire which could be a safety-hazard. Please call us if you have any questions on this important issue. 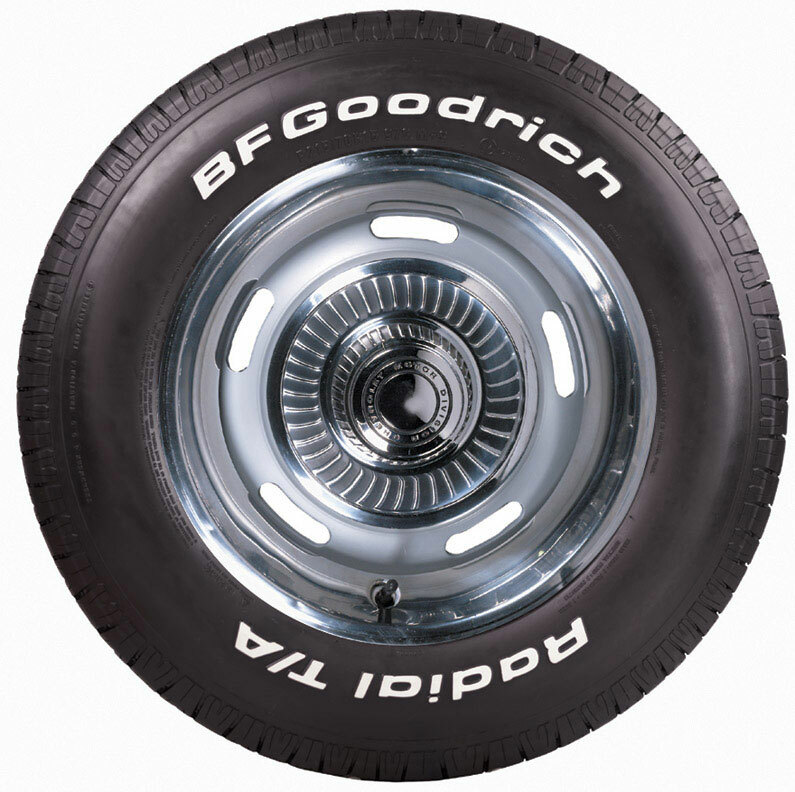 BFGoodrich radial tires are designed for pre-1976 vehicles and have modern aspect ratios, so interchangeability is not implied nor always possible because of rim widths, wheel well clearance and speed and load ratings required. 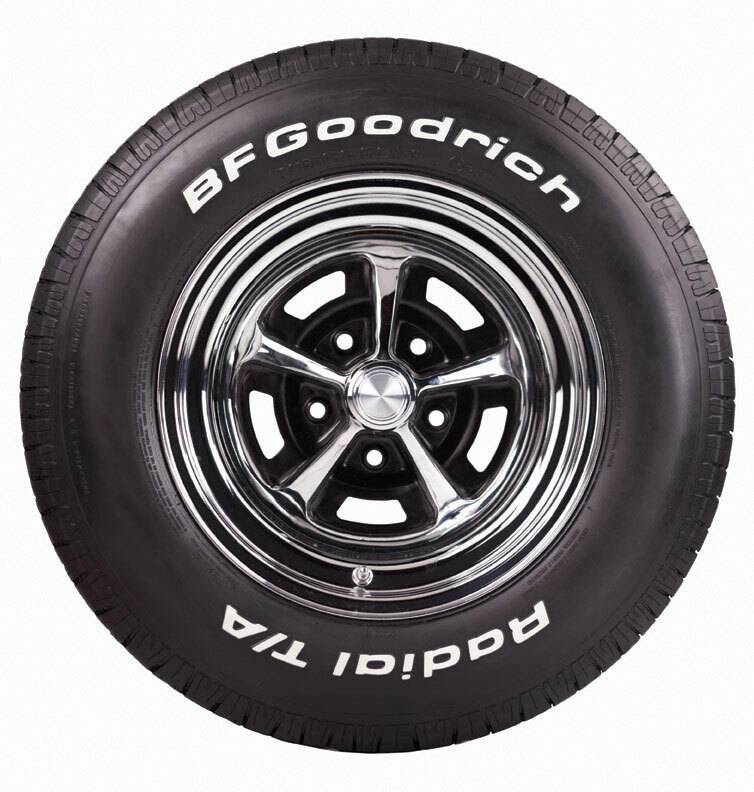 It is very important to maintain proper inflation pressure (35 psi MINIMUM) on BFG radial tires. UTQG: Treadwear: 400. Traction A, represents the tire's ability to stop on wet pavement. Temperature: B, represents the tire's resistance to the generation of heat and its ability to dissipate heat.